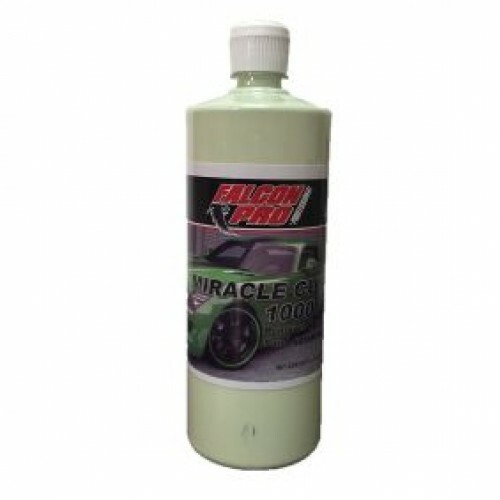 MIRACLE CUT 1000 is an abrasive cleaner that removes 1000 to 1200 grit sand scratches, oxidation, and water spots. A quick cutting, fast acting compound. High gloss and very little surface swirling. Easy clean-up. Great for all types of painted substrates.